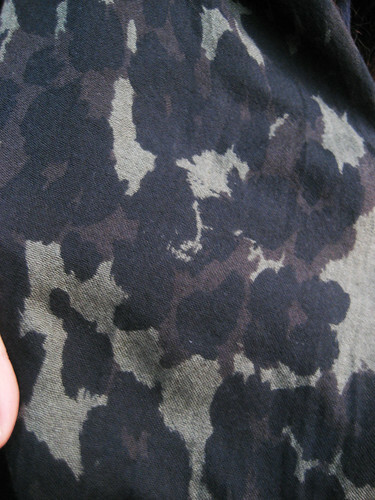 This is a camouflage skull print scarf from HYSTERIC GLAMOUR. Loop and knot around your neckline for an chic finish to a downtown look. I’m really liking the scarf, but god that coat! It’s amazing! Oh…I really love your coat! 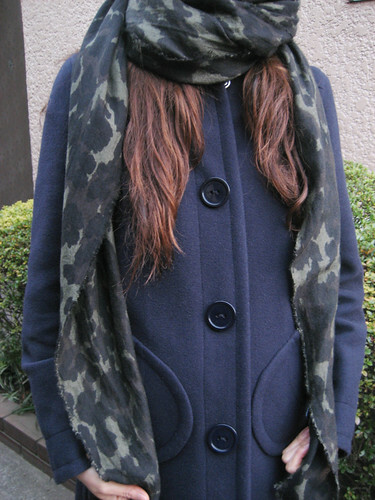 And I also love how you have paired such a tough looking scarf with the coat and make it look so cute!